Jimmy Cliff On Career 'Rebirth' And The Nature Of Success The reggae superstar discusses his friendship with Joe Strummer, his appreciation for Katy Perry and his role as an ambassador of Jamaican music. Reggae superstar Jimmy Cliff says the title of his new album, Rebirth, refers both to his own career and to humanity at large. Without a doubt, the two artists most responsible for bringing reggae to the world stage are Bob Marley and Jimmy Cliff. Cliff became one of Jamaica's first international superstars in the 1960s, scoring hits in the U.K. and Brazil. He's best known for the 1972 film The Harder They Come, both as its lead actor and for three now-legendary songs included on its soundtrack. In time, the world would embrace Bob Marley as reggae's ambassador; Jimmy Cliff never tasted that level of success. But on his newest album, Cliff sounds as hungry and as vital as he ever did, like a man claiming what was rightfully his all along. In an interview with NPR's Guy Raz, Cliff says the record's title, Rebirth, refers both to his own career and to humanity at large. 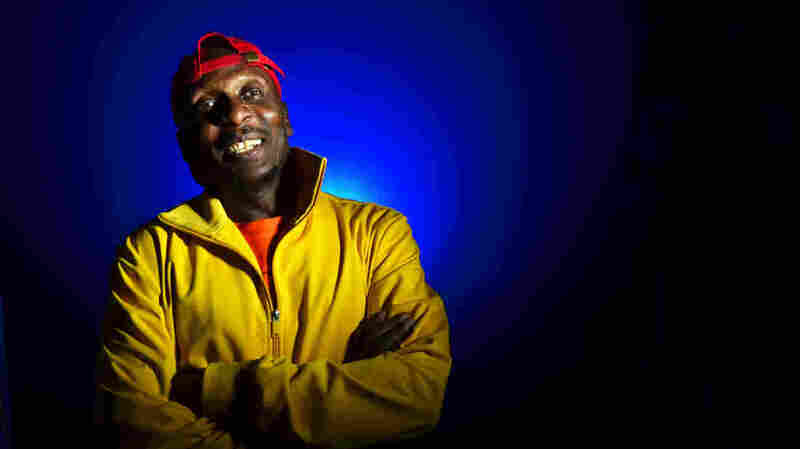 Jimmy Cliff: I'm at the point where I'm taking my career to the next level. It kind of started out when the new millennium began, and up to 2010 when I received the induction into the Rock and Roll Hall of Fame — that was like a stepping stone up to the next ladder. I had started writing this album without knowing I was going to call it Rebirth, but I had quite a bit of the songs before. So, that's about the rebirth of Jimmy Cliff's career. The rebirth of the planet is also about the new time that we're coming into. We're coming into a new time when all the old laws and ways are breaking down. Guy Raz: It was really you who introduced reggae to much of the world in the late '60s and in the early '70s. This record almost sounds like a reintroduction of that music you made back in the early days. One has to go back to point zero to move forward again, and so that is what we did. We recorded the music with the same instruments that we had used back in the days, the same style that we used to record — which is everyone recording at the same time. This was done live to tape? Just like back in the old days in Kingston? Many people were introduced to you and to your music in the 1972 film The Harder They Come, in which you portray the Jamaican outlaw Ivanhoe Martin. There's sort of a full circle now on this record: You sing a version of the Clash song "Guns of Brixton," which has the line, "He feels like Ivan, born under the Brixton sun / His game is called surviving at the end of The Harder They Come." One of the reasons for covering that song was to show and remind people the influence that reggae music had on punk music — and for the fact that he had mentioned that movie. I thought that it would be very appropriate to cover that song. What did the film mean to you? It must have changed your life. Absolutely. It showed people all over the world me as an actor, as opposed to what they had known me as before, just as a singer-songwriter. And it also showed people a new culture. ... It showed people where the music was coming from, how the music was created, how it came about and all of that. I'm gratified that I was in the right place at the right time to be a part of that. And right out of that, you had this sort of meteoric rise of reggae, where it became this international phenomenon. Yes, because it was a new music form. Besides, let's say, rock n' roll and jazz and R&B, this was a completely new music form that was coming out of the small little island of Jamaica. And so it had a big impact on the world. You became friends with Tim Armstrong, the lead singer of Rancid — a pretty important and influential band in the U.S. — and he produced this record for you. How did you get to know him? I was first introduced to Rancid by Joe Strummer. When we were recording the last song that Joe Strummer recorded, on my album [2002's Fantastic Plastic People, later re-released as Black Magic], we talked about Tim. So the time came for me to make this new album and a few names were thrown out, and I sort of gravitated toward Tim Armstrong because of the association of knowing the music, and seeing that he had covered "The Harder They Come," one of my songs. What do you ascribe that influence of reggae on punk to? How did that happen? Because reggae and punk address the same issues — political, social issues. I think that is the essence of the connection. Rebirth isn't an all-covers album, but there is a song by Rancid — one of their biggest hits, "Ruby Soho," which you cover in an acoustic form. What was it about that song that drove you to do your own version of it? I had to do one song from both sides of the Atlantic that had the connection of punk — so, having done "Guns of Brixton," the next song that seemed most appropriate to me would have been one of Rancid's songs. "Ruby Soho" is a song about an artist who has to be traveling all the time, leaving your loved one. I clearly identify with that kind of situation. Every time I have to go on tour for long periods, my family — they feel it. "Why do you have to go, Papa?" I'm assuming she's a fan of "Hakuna Matata," which you've done a version of as well? Absolutely, big fan. Whenever I have the opportunity to take her on tour, she comes on stage and sings and dances to that song with me. On this record, you have a song called "Children's Bread," and it seems to hint at some of the economic protests we've seen in this country and around the world. This song is a comment on the state of the political, economic situation of the world today. "They took the children's bread and gave it to the dogs ... Now while those cats get fat, in came all the rats / Stole away the cheese, doing as they please." It's all about that. I am the type of artist who, when something touches me, whether it's political or social or even relationships, I like to express it. And fortunately, I have this form of music that I can express it through. How has Jamaica changed since you were in your 20s, writing all those protest songs? Well, not a lot. "Children's Bread," the germ of it was inspired by what's going on in Jamaica and then it spread internationally. We do have a woman prime minister now, which is a big change, so we are hopeful that it's going to make a big difference to have a woman lead us now. However, I don't think our economic situation has changed much. But I do think our leaders are trying. Given that you were sort of present at the creation of reggae, and now you are really trying to reintroduce it to the world, is there a part of you that feels pressure about being the torch bearer for reggae music? Actually, as a creative artist I really don't feel pressured. One of the reasons why I made this album and called it Rebirth is that after I had finished the same album that had "Vietnam" and "Wonderful World, Beautiful People," I took a turn. Instead of continuing on that same track with those kind of reggae music, I went to Muscle Shoals in Alabama, in the U.S., and recorded an album called Another Cycle. It was a different form of music but in the back of my mind I always knew that I had to go and complete that chapter, because fans and friends and people were saying "Well, why don't you continue on the same track? Why do you have to go over there and do something different?" As an artist, I cannot allow myself to be trapped. I just have to express how I really feel. It seems like a part of this new record is a tribute to your old friend Joe Strummer. The last song that he recorded in the studio was a song called "Over the Border," with me. He just walked into the studio and said "I have some lyrics, and I hear Jimmy Cliff singing these lyrics." I was doing the album with Dave Stewart and Dave said, "Well, how does the melody go?" And he said, "I don't have a melody. I just hear Jimmy Cliff singing these lyrics." So Dave took up his guitar and started playing some chords, and I came up with the melody and we put the lyrics together. Joe was one of the stalwarts of social justice expression in his music, so I felt like I really had to lift my hat to him this time. What music do you listen to now that gets you excited — that gives you the sense that it can really change the world? In terms of music that can change the world, I'm not so sure. But, the kind of music that I'm listening to now is music to keep current with what's going on. Someone like Katy Perry — I like her writing because I listen to music as a songwriter. I like a lot of her songs — like, "Firework" is a song that I think I could write. I gotta tell you, Katy Perry is not one I thought Jimmy Cliff would have picked. Right, 'cause she sings about relationships — or Adele, she sings about relationships. Does Katy Perry know that Jimmy Cliff is a Katy Perry fan? I've read that there is actually a remake of The Harder They Come in the works. I am the one who really had the concept a long time ago of doing a sequel to it. Perry Henzell, the writer and director of The Harder They Come, before he passed on, we talked about it and I pitched him my concept and he thought it was great. So as a result of that a script was written based upon the concept that I gave. That is still on the table — we may go into production early next year. This has been a pretty remarkable couple of years for you: You've been inducted into the Rock and Roll Hall of Fame, and now you have this new album that's getting rave reviews. How does success now compare to what it was back in like 1972, at the beginning of your career? There are goals that I had set out for myself as an artist. I have accomplished some of them — becoming accepted all over the world — however, other parts of my goals have not been completed. The first thing I wanted to be was an actor, even before I wanted to be a singer, before I discovered I could sing. I am on my way now to getting an Oscar as an actor; I have not done that yet. I am on my way now to making a string of No. 1 hits all over the world; I have not done that yet. I am on my way to becoming a stadium act all around the world; I have not done that yet. I'm wiser and I know how to handle success now. But success has different meanings to me. When someone comes up to me and says, "I was a dropout in school and I heard your song 'You Can Get It If You Really Want,' and that song made me go back to school, and now I am a teacher and I use your song with my students" — that, for me, is a big success.